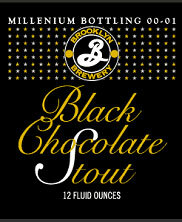 From the bottle, it pours a deep, dark chocolate color, almost black, with an average, fizzy light-brown head. Body is black as night, very murky. Fully diminishing head with good lacing. Aroma is very sweet, with a heavy dose of malts with chocolate notes. Also hints of alcohol and burnt maltiness. Initial taste is moderately sweet with coffee notes, turning to a moderately bitter, dark chocolate finish. Medium on the palate, it has a creamy texture with soft carbonation. Reviewer's notes: A very remarkable stout that we will recommend to others.